Sick of lugging those 4×12’s around? Then take a look at the modern preamp that can plug into the PA. Since many of us are playing more quietly on stage due to much better venue PA’s and the noise police, we are not using loud amps that can be overdriven and tone-shaped. 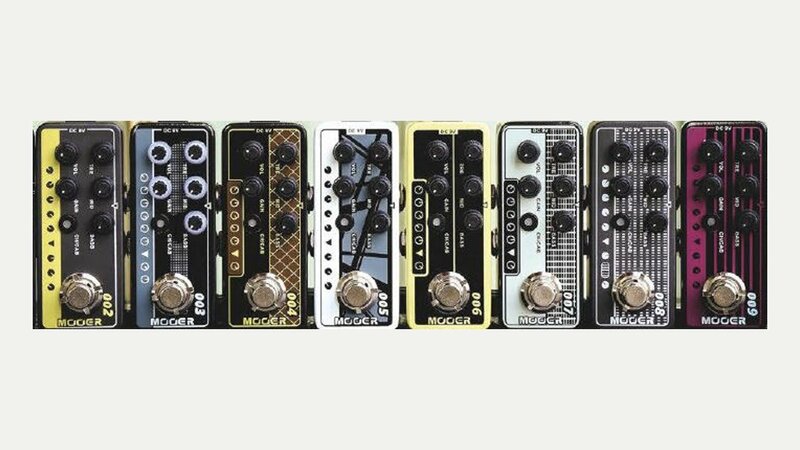 As a consequence preamp-type pedals that feed into your amp – or even the PA – are becoming increasingly popular and more and more makers are adding them to their range. Acoustic preamps have been popular for a while enabling you to plug your acoustic straight into the PA with the tone you want, rather than the one that the house engineer decides is right. No more lugging an amp around or sounding crap out the front! Now, the electric guitar is getting a look in. As its name suggests a preamp sits between your guitar and your ‘power amp’; all guitar amps have a preamp and power amp built in, so the latest ‘guitar preamps’ are really tone-shaping your guitar signal so that is ready to go into a power-amp. Most effects pedals have built in ‘preamps’ such as a tone control, EQ or delay effect for example. However, the new breed of preamps for electric guitars which change your tone are digitally recreating the preamp sections of popular amps, such as the Vox AC30. This means that you can feed into your clean channel the great sound of a popular amp, through your pedal board. Okay, so a Kemper Profiler can do the same but that costs £1400 and doesn’t fit in your gigbag! Other small, pedal sized preamps include the Palmer MI POCKET AMP MK 2, which costs £75.00 and “delivers a range of authentic tube amplifier tones”. And the Laney IRT Pulse, which is almost pedal sized, and features a full valve preamp, and all for £199. We’ll have one of each please!